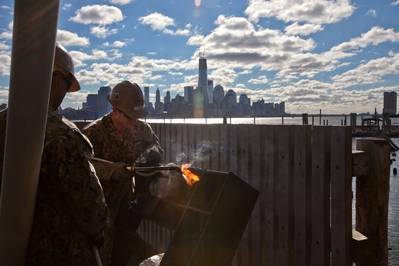 The U.S. Navy provides disaster relief in support of other authorities in the New York & New Jersey areas affected by Hurricane 'Sandy'. USS Wasp (LHA 1), USS San Antonio (LPD 17), and USS Carter Hall (LSD 50) are in position off the coast of New York and New Jersey supplying military personnel and equipment to disaster areas. Wasp is supplying aircraft to aid in the mission with a total of 18 helicopters aboard. Wasp also sent a team of damage controlmen and hull technicians to help repair the damaged Hoboken Ferry Terminal. San Antonio has four MH-60S and a landing utility craft (LCU) capable of transporting cargo, vehicles and personnel from ship to shore. Carter Hall also has an LCU capable of transporting cargo, vehicles and personnel from ship to shore. This LCU ferried supplies and personnel ashore to Sandy Hook, N.J., Nov. 4. Both San Antonio and Carter Hall are capable of providing command and control; underwater infrastructure repair capabilities; riverine search and damage assessment; and underwater port survey. 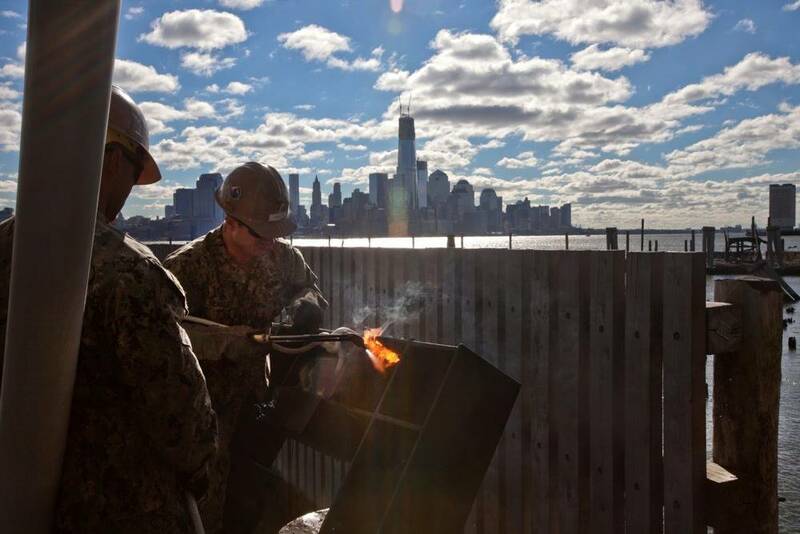 Construction Battalion Maintenance Unit 202, embarked aboard San Antonio and Carter Hall, is providing two 15 kilowatt generators and three 250 gallons per minute (gpm) pumps. Additionally, they are providing small boat and command and control support to the U.S. Coast Guard. FEMA issued a mission assignment to the Department of Defense requesting "high-volume water pumps (350 gpm and greater) with qualified teams to support the operation and maintenance of the equipment." In support of FEMA, the Secretary of Defense has authorized the Navy to provide 30 high-volume pumps, 125 Sailors and 30 civilian technicians to support dewatering efforts.